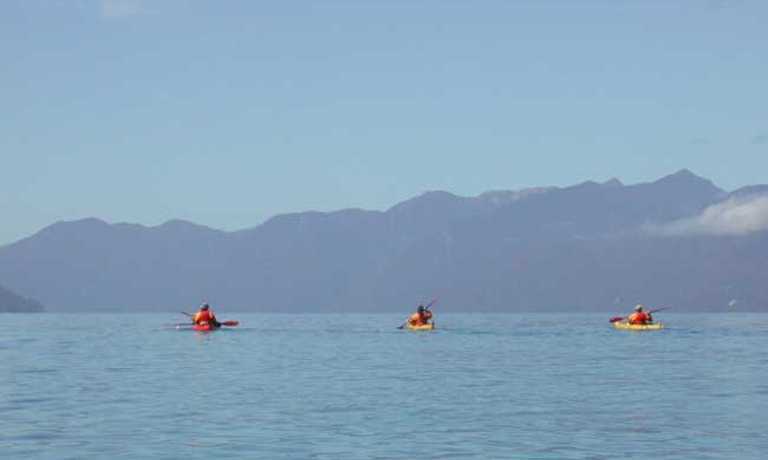 Kayak through fjords, to a sealion colony and take part in night navigation! You'll be camping for 9 nights and staying in a hotel back at Puerto Varas. 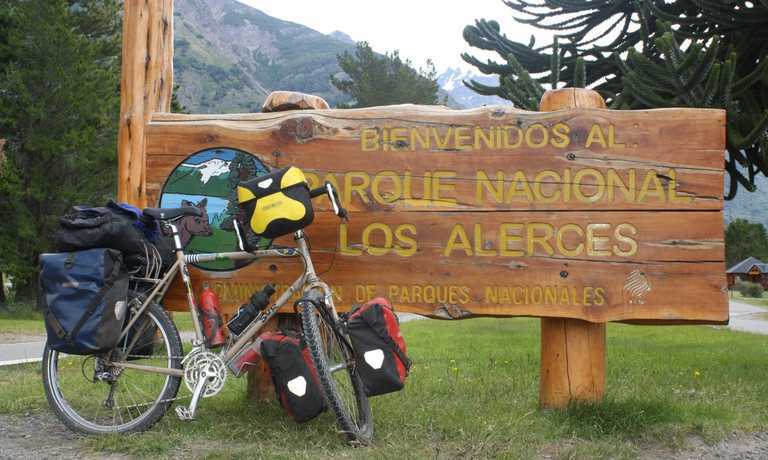 At 10:00am we will meet in an hotel in Puerto Varas. This is a small and pleasant city 20 km north of Puerto Montt, located next to Llanquihue lake and in front of Osorno Volcano (2652m) and 1,000 km south of Santiago. Here we will meet the members of the group and receive a complete explanation of the trip, it's logistics, how to use the radios, flares, satellite phone, etc , information about the tides and winds and their influence in our navigation, potential hazards, rescue procedures, isolation terms and possibilities of communication, etc. Time for lunch (optional) and for last minute buys. We meet again at 3:00 PM, at the same hotel, to start our trip immediately. We will have to drive for about 5 hours starting in the extreme north of the Carretera Austral, with a view of the beautiful coastal towns and the small islands. It will be necessary to use the ferry boat to cross the Reloncavi Fiord, the first fiord of Patagonia. The trip will continue south until the town of Hornopiren, and from there driving in a 3rd class road, surrounded by cliffs until our campsite at Comau Fiord. Dinner with Colonos family (pioneers) and their stories about life in this area 70 years ago. After breakfast we will start with an intense sea kayak practice of paddling strokes and rescue techniques. We will continue navigating west to enjoy a small sea lion colony and then continue in between some islands to LLancahue Island (if the weather allows) where we will enjoy hot springs on the shore of the Pacific (Box Lunch at the hot springs). Early in the morning , after breakfast, we will fill the kayaks with all the gear for this self-supported trip and head for the Comau fjord. From this day we will be always be paddling in between 3 volcanoes (north: Yates and Hornopiren volcanoes and south, Michimahuida volcano). After some hours, the Quintupeu fjord will appear. It is here where the Dresden, a 3,600-ton light cruiser, one of the fastest ships in the German Imperial Navy , was hidden during World War I. We will be entering our favourite fjord.....huge waterfalls coming directly to the sea, dense vegetation everywhere, enormous walls disappearing in the water. At the entrance we will stop for a short hike, walking upstream in order to reach the place where the waterfall begins. At the end of the fjord there is a river which we will try to explore by kayak, depending on the tide and camp with a marvellous view of the Andean mountains and glaciers... just in front of us. Very early, practically at night if required, we will start paddling, because this is the day we will need to paddle in a section more exposed, although it is still inside the fjord. After 2 hours, we can see an island in the distance and the Ancud Gulf behind it. We are continuously paddle close to the coast where we can enjoy the dense vegetation until the entrance of the next fjord. Just as we enter the fjord, we are presented with a surprise... a colony of sea lions. We will pass by without making a noise so that we can get close and take pictures without bothering them. The best of the day is yet to come...since we do not have much further to paddle we will be able to paddle slowly and take advantage of the opportunity to explore the coastline of the fjord. We will enjoy the view of the mountain's walls falling directly into the sea and later, rewarded with the Cahuelmo hot springs at the end of the fjord. This will be a moment to relax and forget about everything...while enjoying the sunset, with a glass of wine and a camera in hand. After enjoying our breakfast we will be ready to start the next adventure.....hiking towards Abascal lake....if we can find the trail existing in this thick vegetation. It will be necessary to cross some branches of the river and walk considering the tides otherwise all that we walk through at the beginning will be covered by the sea. The rewards .....a new perspective of an untouched area where few people have been before. We will return on time for a relaxing bath at Cahuelmo Hot springs. Very early in the morning, with the tide in mind and before the wind appears we will continue our paddling at Comau fjords heading for the settlement of Huinay, where we will setup our campsite, visit the town, some local fishermen friends and hike in a place that is just starting to be open for authorised people as it is a huge private research area. Dinner with a local fisherman family. This day, after paddling from Huinay to the west shore of the Comau fjord we will start a new adventure...trekking in a real rainforest jungle. Giant trees, amazing views, cliffs, suspended wooden local bridges, slippery paths, some river crossings.. till the geysers (obviously this will depend on weather conditions/density of vegetation/conditions of the trail, level of the river). Return in the afternoon to our campsite in the western shore. Dinner with a local fisherman family. 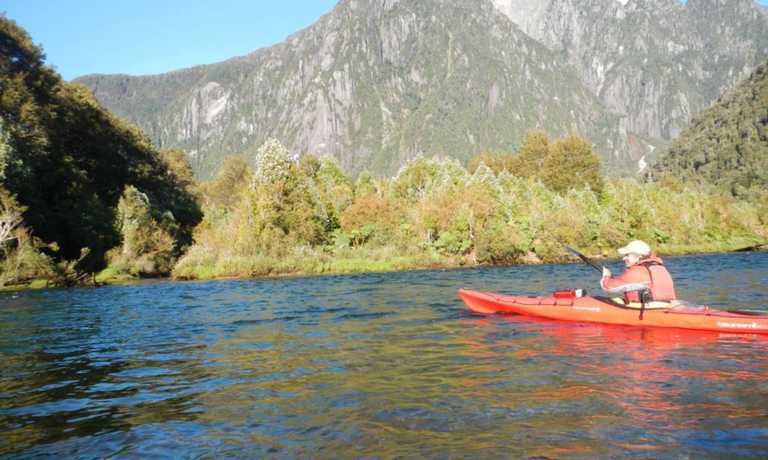 Breakfast, paddle the eastern shore, beautiful waterfalls falling directly to the sea, fjord crossing, and sea kayaking to Porcelana hot springs, located in a particular creek where hot water emerges from the temperate rain forest. Relax and enjoy hiking in the area. Campsite and dinner with a fisherman local family. Waiting for the tide we will start our sea kayak exploration of Vodudahue river which will lead us to a totally different landscape of valleys enclosed by granite walls and hanging glaciers. We have to consider that if it rains a lot, the river, although flat, will increase it's volume so probably the logistics can be modified. Return to campsite at Porcelana Hot springs. Dinner with a local family. Very early in the morning, almost at night, a local fisherman boat will appear to bring us back navigating Comau Fjord, the main fjord in Pumalin Park. After some hours we will arrive in Hornopiren where we will have lunch in a comfortable Hosteria, and start the return to Puerto Varas.